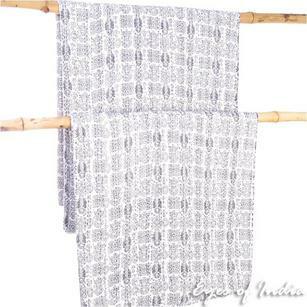 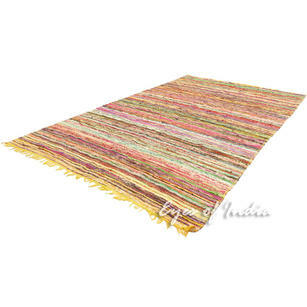 Find the perfect Chindi rug to compliment your home decor. 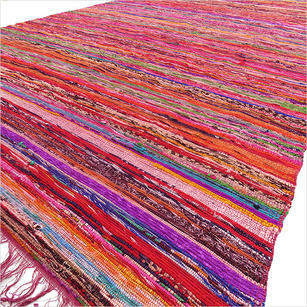 Our wide range of affordable rag rugs for sale are available in dazzling colors, shapes and sizes. 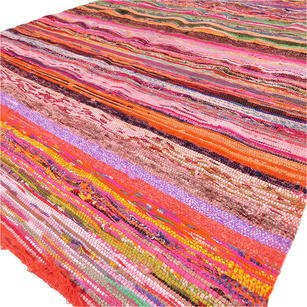 Whether used in the bedroom, living room or kitchen, our high quality bohemian rugs are unique and fun, fusing Indian tradition with Boho flair. 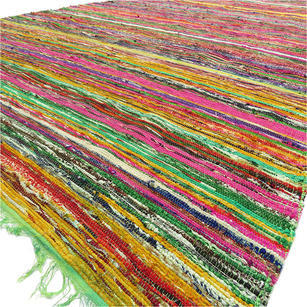 Browse our Chindi boho rugs and find the perfect piece for you. 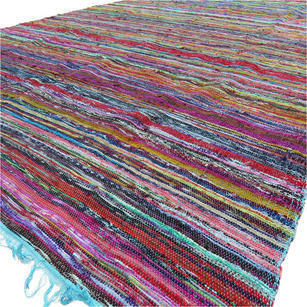 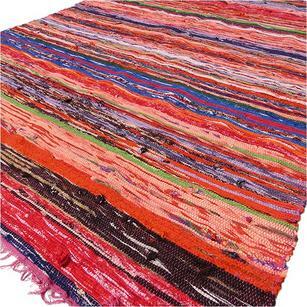 Our range of colorful Chindi rag rugs for sale are made by combining scraps of many different types of fabric. 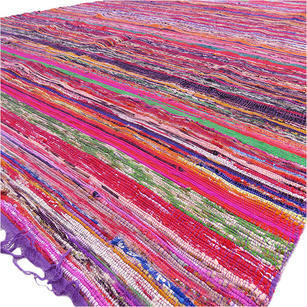 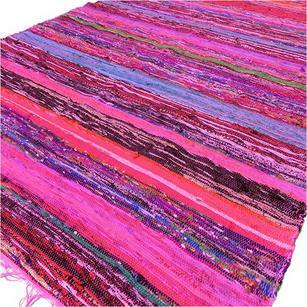 You can call them hippie rugs, because their radiant patterns in vibrant color and texture make give that hippie vibe. 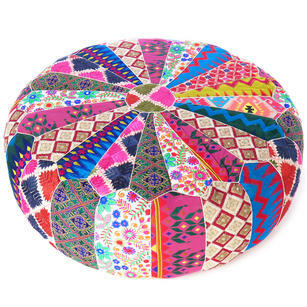 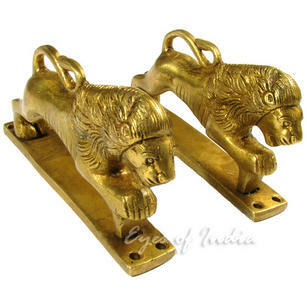 Need a quick, affordable way to quickly add colorful accents to any room? 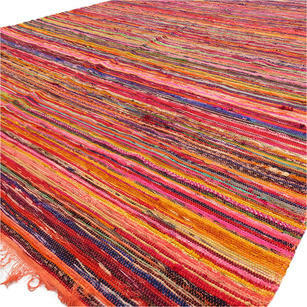 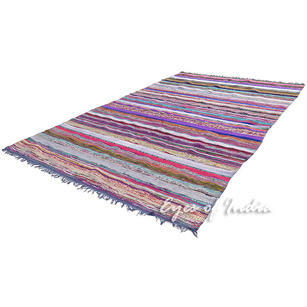 Our bohemian rugs are available now for a price you can get only by buying directly from India! 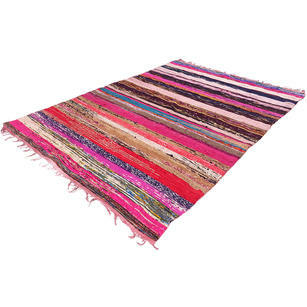 Browse our large range of Chindi and other boho rugs and complement with a pair of matching Chindi pillows. 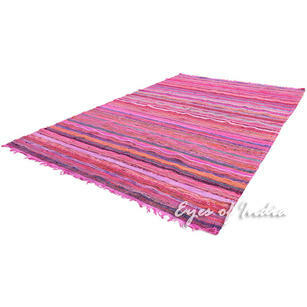 Purple Decorative Colorful Boho Bohemian Chindi Woven Area Rag Rug - 5 X 8"
Green Decorative Colorful Chindi Woven Area Bohemian Boho Rag Rug - 5 X 8"
Orange Decorative Colorful Chindi Boho Woven Bohemian Area Rag Rug - 5 X 8"
Blue Decorative Colorful Boho Chindi Woven Area Rag Rug - 5 X 8"
Burgundy Decorative Colorful Bohemian Chindi Woven Area Boho Rag Rug - 5 X 8"